Sometimes looking under the kitchen sink can be like looking at a mini junkyard right in your own home. The good news is, it doesn’t have to be the place your old sponges and empty bottles of dish soap go to die. Organization can be very simple if you follow one simple rule: out with the old, in with the new. 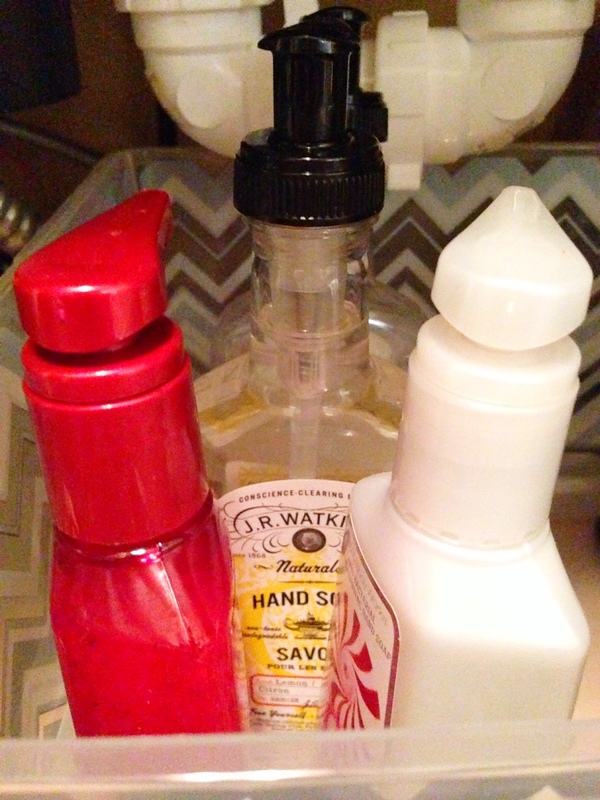 A main culprit for cluttered under-the-sink cupboards is all those unused items. 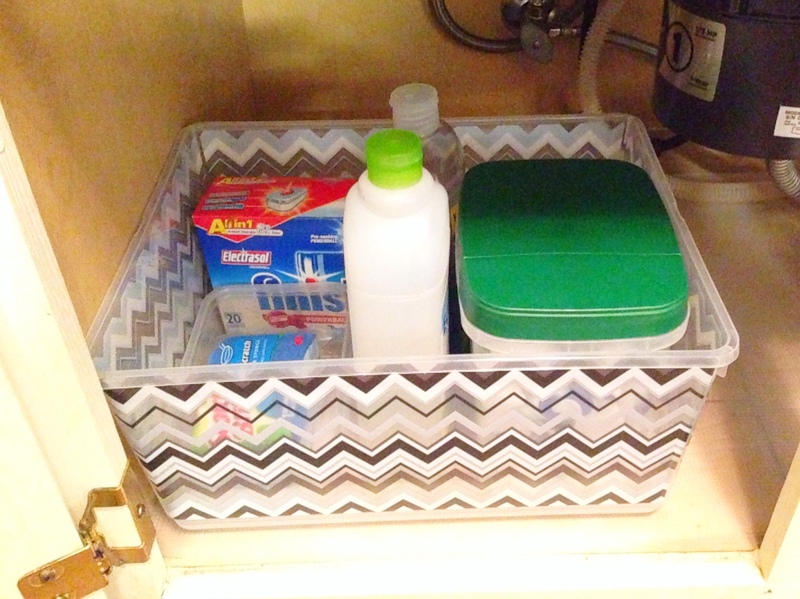 So, if you rid the space of what’s not being used, tidy it up with a few awesome bins, and replenish anything that’s empty, you’ll be well on your way to a nice and tidy under-the-sink kitchen cupboard. As I’ve been embarking on this Spring Cleaning Series (see The Mother of All Spring Cleaning Lists here! 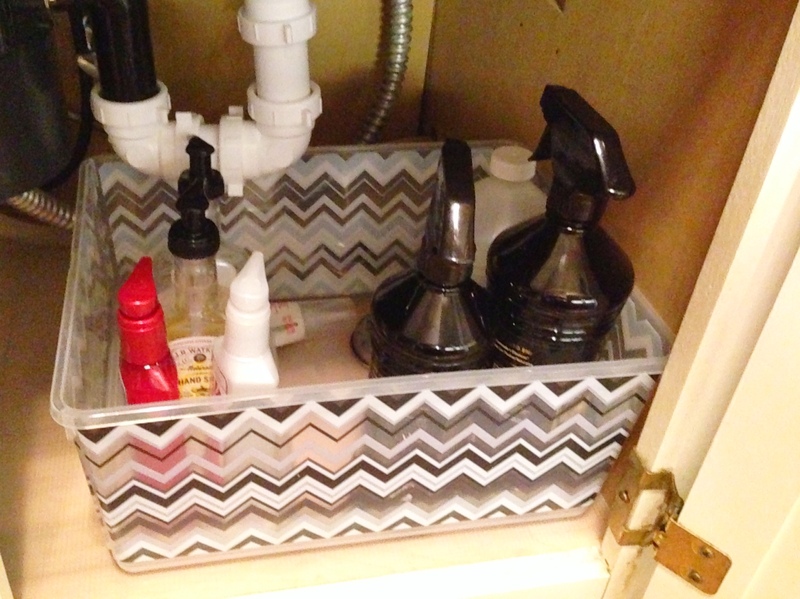 ), I recently took my own advice and spruced up the space under our kitchen sink. It wasn’t the worst thing I’ve ever seen, but I started feeling as if something was going to grab my hand whenever I went for a sponge or cleaner. So, I purged a bit, replenished a bit, and headed to our trusty Walmart to pick up some sturdy and stylish bins. Transformation! Looks a lot more useful now! Thank you for this idea! 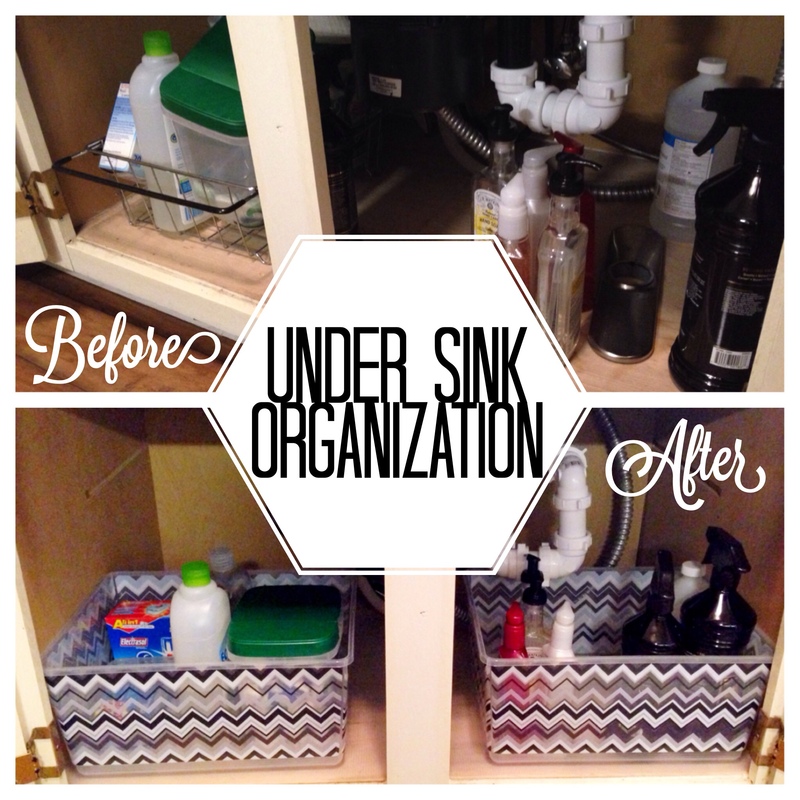 I definitely have to organize my under sink space. 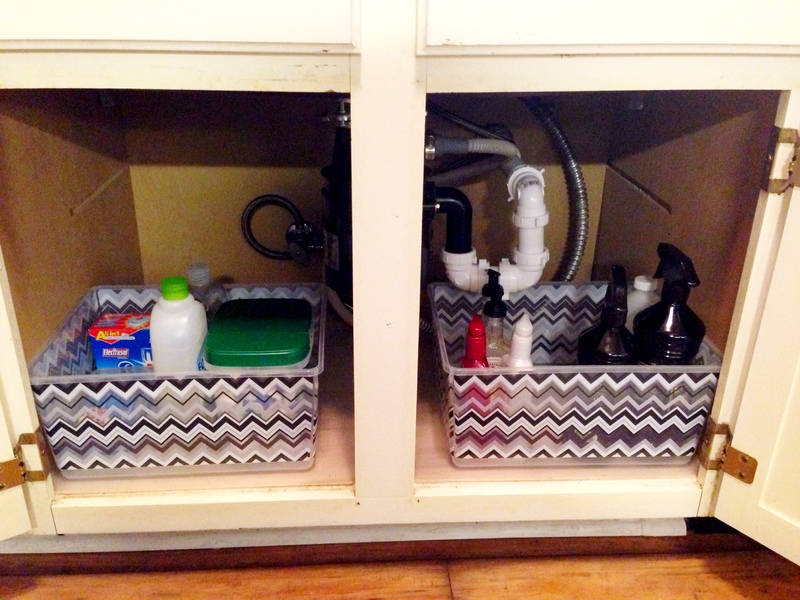 I like the idea to use baskets! You’re welcome, Jackie! Glad it’s helpful! Have a great day!